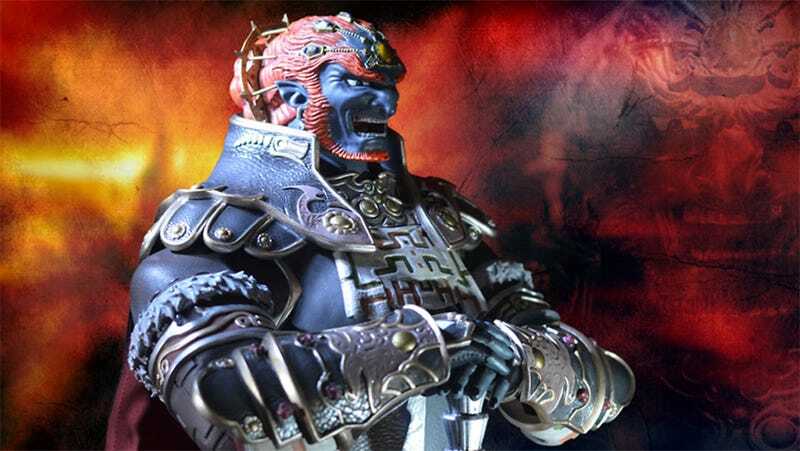 Okay, technically this is $475 worth of evil, as this is the exclusive version of First 4 Figures' 1/4 Scale "Master Arts" Ganondorf Center Piece, which comes with an additional laughing head, but you get the point. Now that First 4 Figures has gotten Wolf Link, Link with Epona and Zant out of the way, it's time for the main event. Standing a (relatively) massive 23 inches tall (which means in real life he's seven and a half feet tall), Ganondorf is primed and ready to pose dramatically while subtitles reveal his evil intentions. Cast in poly-stone, hand-finished and hand-painted, he even comes with a hand-made cape fitted with wire for the dramatic posing. While batch numbers are still being determined, expect these to be made in extremely low quantities. The regular edition (sans laughing head) is available for preorder for $449.99, with the exclusive yours at $479.99.